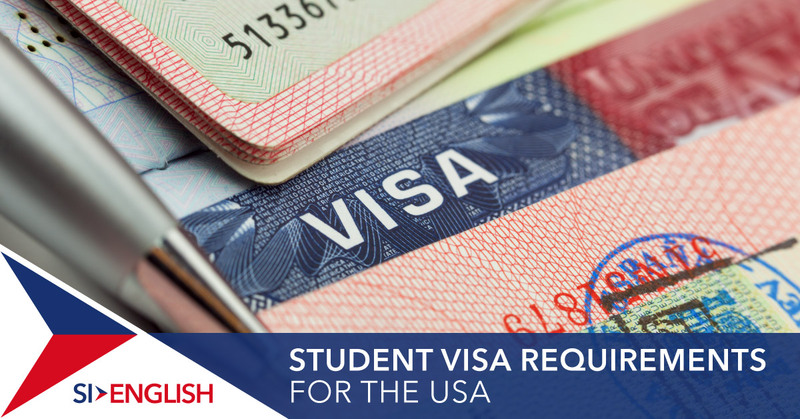 If you wish to study English in the USA, you will need a student visa for the duration of your stay. The process of applying for a student visa in the USA is longer than most other nations, so it is important to be prepared and plan accordingly. Learn more about the steps needed to obtain an F-1 student visa below and apply to study in the USA with SI-English. We can guarantee you an offer letter from a language school in the USA. To begin your application, you will need to be accepted on to a course at a school approved by the SEVP (Student and Exchange Visitor Program). Once accepted, you ill be registered on Student and Exchange Visitor Information System (SEVIS) and you can begin the next step. Search language schools in the USA with SI-English. All our partner schools are SEVP approved. Once you have been accepted on to a course, you will need to pay your SEVIS fee at least three days prior to submitting your visa application. Once you have paid the SEVIS fee, your school will give you form I-20 which must be presented at your interview. Next, you will need to complete the online application form DS-160. Once completed, you need to print this off and bring it to your F-1 visa interview. Take extreme care answering all of the questions, as even minor mistakes can cause long delays. Further document may be required, such as proof of English language proficiency or academic transcripts. Do not be late for your interview, as if you are you may be required to schedule for another time. Securing an F-1 visa is not guaranteed, so do not make travel plans ahead of your interview. Good luck! If you need help applying to study in the USA, get in touch with SI-English today. Search over 100 schools in the USA and apply using our Free Service – we will guarantee you an offer letter!